What is Keyword Research? 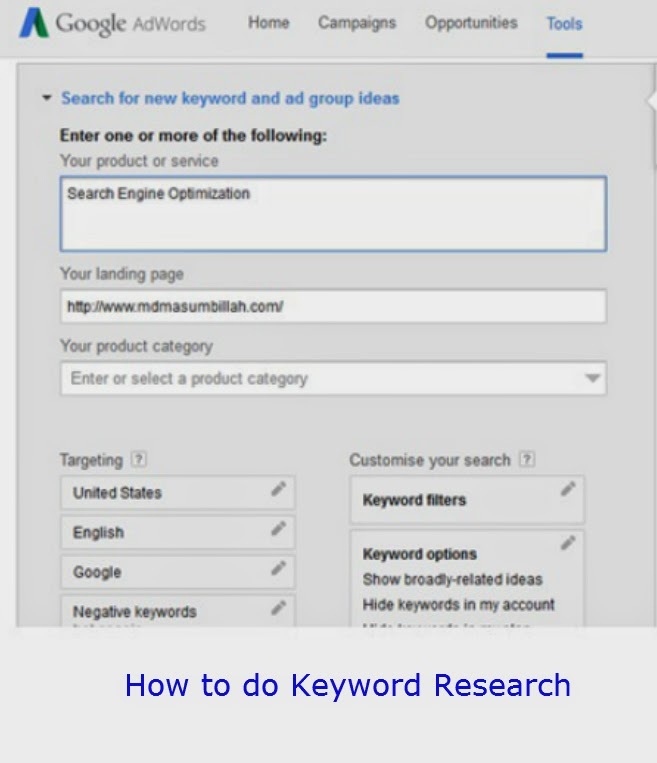 Keyword Research is a part of inbound marketing strategy. Keyword research is the procedure of finding most popular search terms and accordingly using them to perform search engine optimization (SEO) for a website. The main meaning of keyword Research, By the Search Engine which types of words when a Customer or Visitor or Reader fined your blog, your product or website and research these types of words means Keyword Research. Why Keyword Research Important: ? If you know what are searching or finding your customers or visitors then it will not be hard or difficult for you to come in your website or blog for buy your product. Say one customer wants to buy Iphone5 but he or she Search in Search Engine and enter a book store website so he or she will not buy anything, because he or she want to buy iphone5 not books. So now you understood why keyword Research so Important. So if your website based or Created on Cell phone, iphone4, iphone5 Reviews, Samsung GALAXY S4, Samsung GALAXY S4 Reviews etc. Then your keywords would be Cell phone, iphone4, iphone5 Reviews, Samsung GALAXY S4, Samsung GALAXY S4 Reviews etc. So when your keyword Selection will be right then you will reach in right website and Product. Keyword research is one of the most significant, precious, and high return activities in the search marketing field. Ranking for the "right" keywords can make or break your website. Through the detective work of puzzling out your market's keyword demand, you not only study which terms and phrases to goal with SEO, but also study more about your clients as a whole. It's not always about getting visitors to your site, but about getting the right kind of visitors. * Get traffic estimates for the keyword. * Create new keyword transformation based on initial keyword. * Create new keywords by uniting various keyword lists. 2) Long Tail type Keyword. Going back to our online Book store example, it would be great to rank #1 for the keyword "Books" - or would it? It's magnificent to deal with keywords that have 5,000 searches a day, or even 500 searches a day, but in reality, these "popular" search terms really make up less than 30% of the searches performed on the web. The remaining 70% lie in what's called the "long tail" of search. 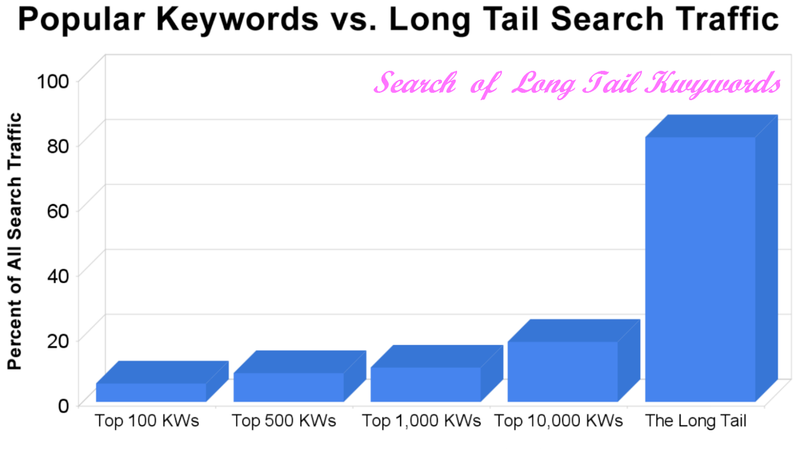 The long tail contains hundreds of millions of unique searches that might be driven a little times in any given day, but, when taken together, they include the best part of the world's demand for information through search engines. One additional lesson search marketers have learned is that long tail keywords often exchange better, because they catch people after in the purchase /renovation cycle. A person searching for "Books" is most likely browsing, and not ready to buy. On the other hand, someone searching for "best price on SEO Books" practically has their wallet out! Understanding the search order curve is critical. 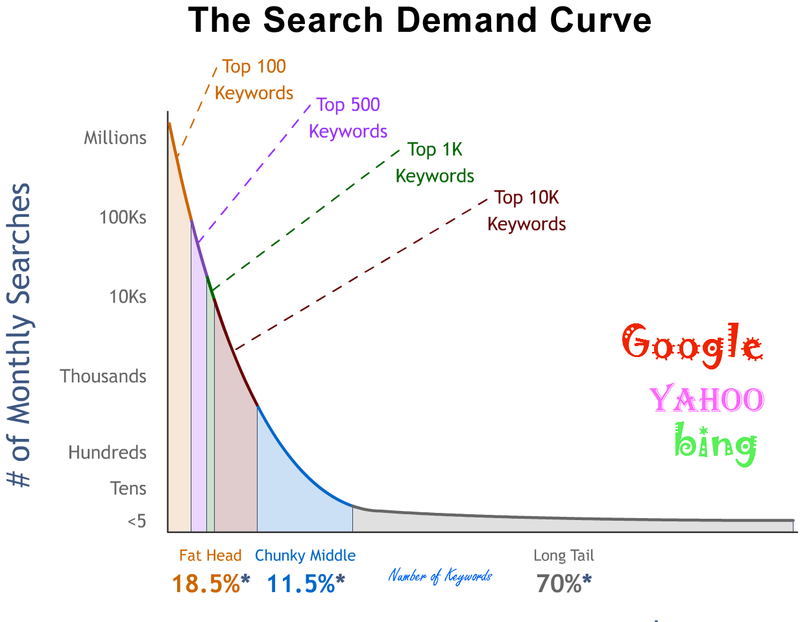 To the true we've included a sample keyword demand curve, illustrating the small number of queries sending larger amounts of traffic alongside the volume of less-searched terms and phrases that bring the massive of our search referrals. How to Submit Keyword Research Report: I would like to share Basic keyword Research Report. Firstly when you will create Keyword Research Report then you have to focus on main keyword and you have to choice relevant types of keywords. Secondly you have to follow high Average Monthly Search and yearly search train. Thirdly you have to follow Suggested Bid Price $ (costs-per-click (CPCs)) and finally you have to search report All in title of your selected keywords.